One of the most radical abstract artists of the last 50 years is scarcely a household name, or even well known outside a small group of collectors, connoisseurs, and art historians. 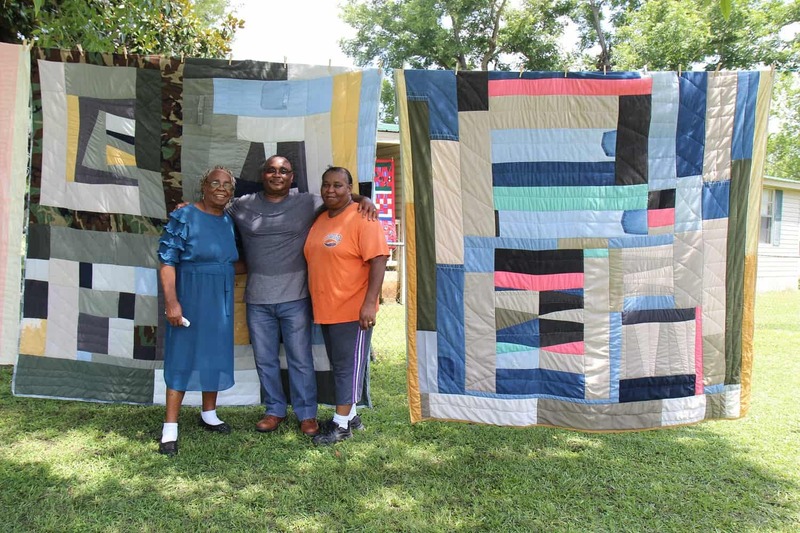 But Mary Lee Bendolph is a standout in the group of quilters from Gee’s Bend, a tiny isolated community of mostly African-Americans tucked into a bend of the Alabama River, about 60 miles south of Selma. The strikingly original artists first came to national attention with a traveling exhibition, “The Quilts of Gee’s Bend,” that premiered in 2002 at the Museum of Fine Arts, Houston, and moved on to the Whitney Museum of American Art and the de Young Museum. The quilts by 45 quiltmakers earned rave reviews, including comparisons by the New York Times chief art critic Michael Kimmelman to Modernist masters like Paul Klee and Henri Matisse. 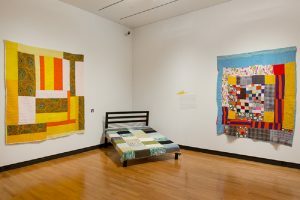 Now, through May 27, Bendolph is having a show of her own at the Mount Holyoke College Art Museum in South Hadley, MA (to be followed by an adapted version at Swarthmore College in Swarthmore, PA, in the early fall). 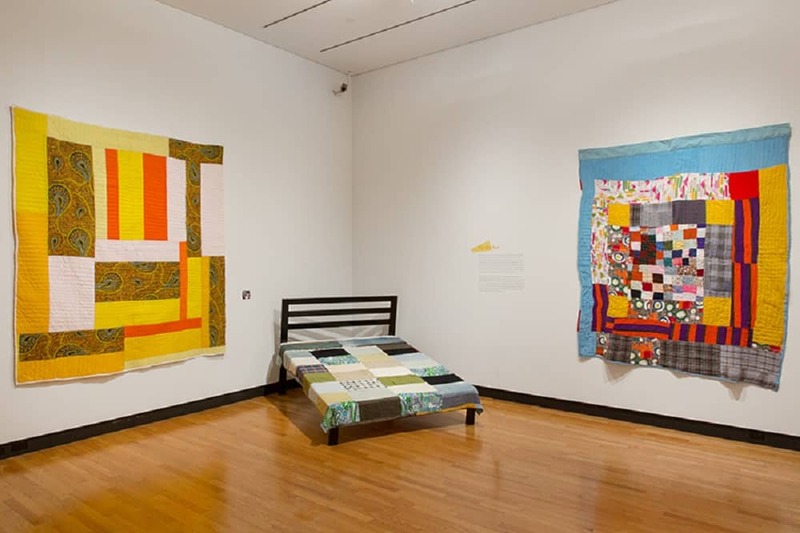 “We honed in on her because we have prints of hers in the collection,” says Hannah Blunt, associate curator at Mount Holyoke, “and because of her ability to pull together unexpected patterns and colors. 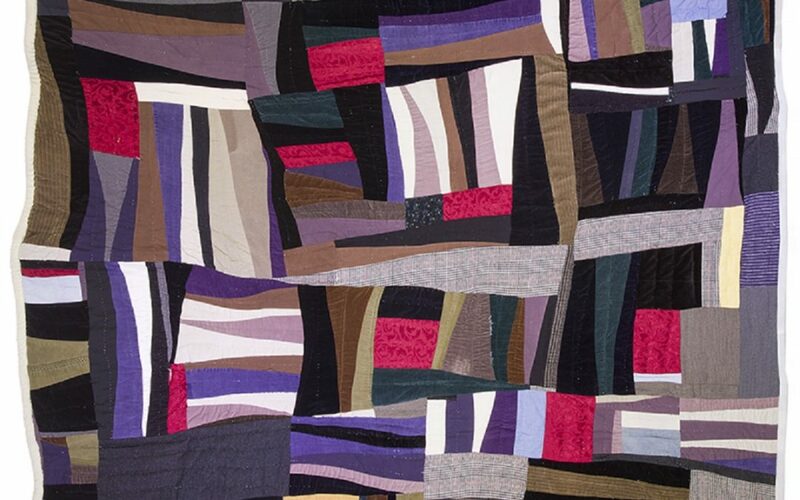 ‘Fearless’ is one word that comes to mind.” The show, called “Piece Together,” features 18 quilts by Bendolph, as well as seven prints she created in collaboration with Paulson Bott Press (now Paulson Fontaine Press) in Berkeley, CA. The seventh of 17 children, Mary Lee Bendolph was born in 1935 into conditions of poverty so extreme that in hard times Gee’s Benders survived by foraging for blackberries, squirrels, and turtles. 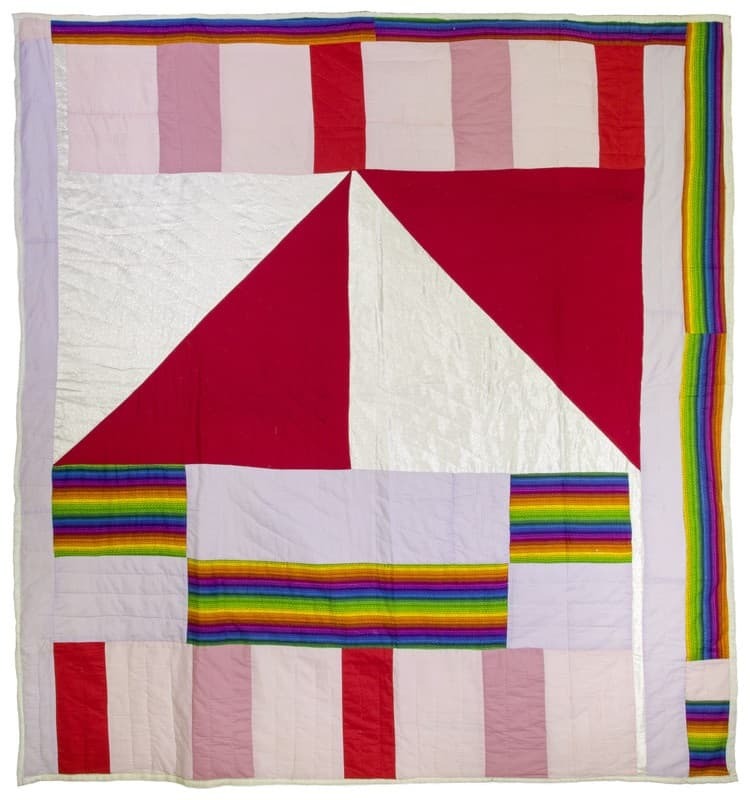 As the catalogue for the show notes, “[T]hey also developed strong habits of gift-giving and reciprocity”—a community spirit exemplified in the Freedom Quilting Bee, a cooperative established in 1966 in which Bendolph briefly participated. 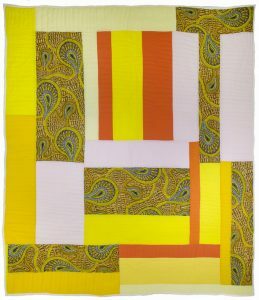 Dashiki (2003), cotton, 97 by 90 inches. 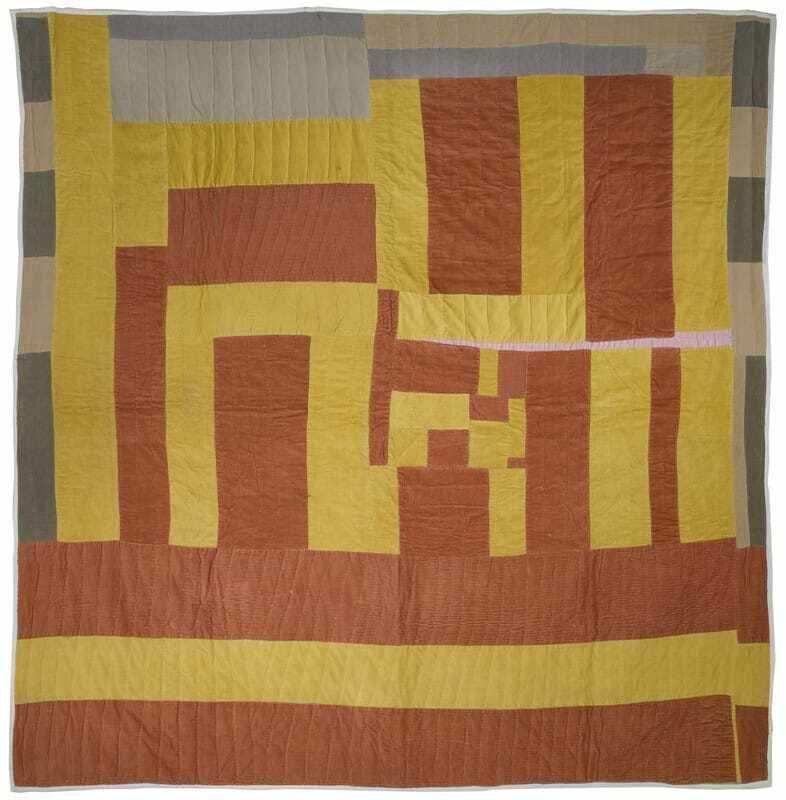 As striking as they are as highly original compositions of shape and color, Bendolph’s quilts carry a fair amount of family history, amounting almost to an encoded autobiography. “Old clothes have a spirit in them,” Bendolph has said. “They also have love. When I make a quilt, that’s what I want it to have too, the love and the spirit of the clothes and the people who wore it.” So in Husband Suit Clothes (Housetop Variation), one of three quilts she made shortly before the death of Rubin Bendolph Sr., she incorporated remnants of his dress clothes (“Loud, unmatching, stripes, color…that was my dad,” recalled his son and namesake.) Another quilt is composed entirely of scraps from dresses Bendolph had made for her only daughter, Essie Bendolph Pettway—a “practical way to hold on to a memory,” as Blunt notes in her essay. Another quilt, Dashiki, incorporates a shirt from Ruben Jr.’s high-school days, and summons up the dawn of the black pride movement, when these patterns became synonymous with declaring an allegiance to an African-American identity. There is perhaps no way to account for the particular genius of Mary Lee Bendolph, whose talents and vision were nurtured by so many different sources—including religion, family, and community. Unlike many contemporary artists, she certainly didn’t have the advantage of MFA programs or exposure to the whole pantheon of contemporary art (and perhaps the idea of the “artist” as we know it is alien to her vocabulary). But this stunning show and thoughtful catalogue expand the possibilities for sheer visual pleasure. Catch it while you can. 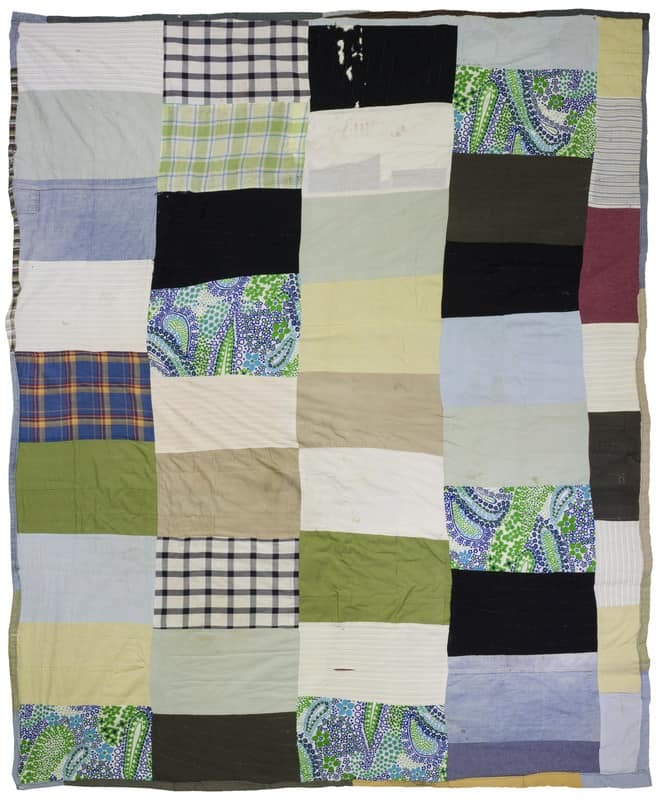 “Piece Together: The Quilts of Mary Lee Bendolph” will be at the Mount Holyoke College Art Museum through May 27, 2018, and at the List Gallery of Swarthmore College from September 6-October 28. Thanks for introducing me to this wonderful work and the story behind it!